Michael Catano has been making frames under the label Humble Frameworks for about 5 years. In that time he’s built roughly 10 frames. They’re nicely detailed without being ostentatious and are custom made to their owner’s specifications. 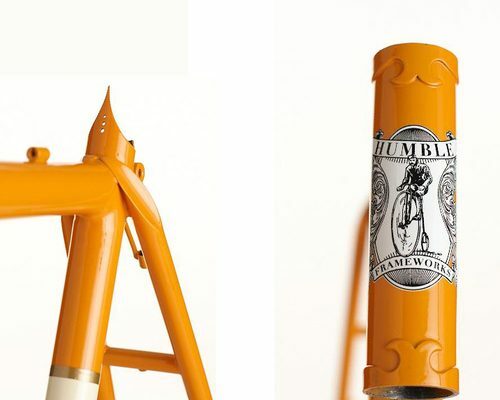 Each frame is hand-built in the south-side of Chicago and I really love the logo. Check out more work below. 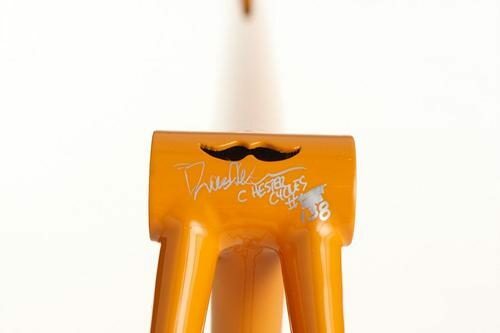 Subtle details and a signature mustache lugwork profile gives Humble Frameworks a great look. 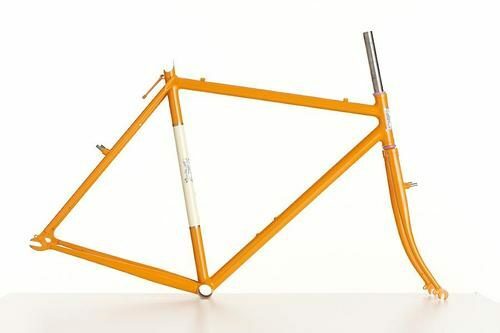 The Molteni Orange Michael used on this frame really pops. The Zebra-Striped Zll-Rounder is another great example of Humble’s craft. 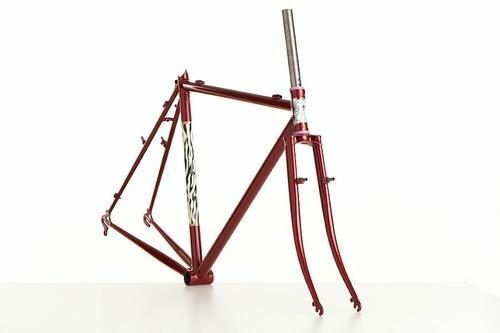 Duane Waller of Chester Cycles did the wet paint on these frames and they came out great! If you’re interested in seeing more of Humble’s work, check out Michael’s Flickr here. You can also email him here. They look awesome man. Congrats!